The following news takes the phrase “there’s no such thing as bad publicity” to a new extreme. 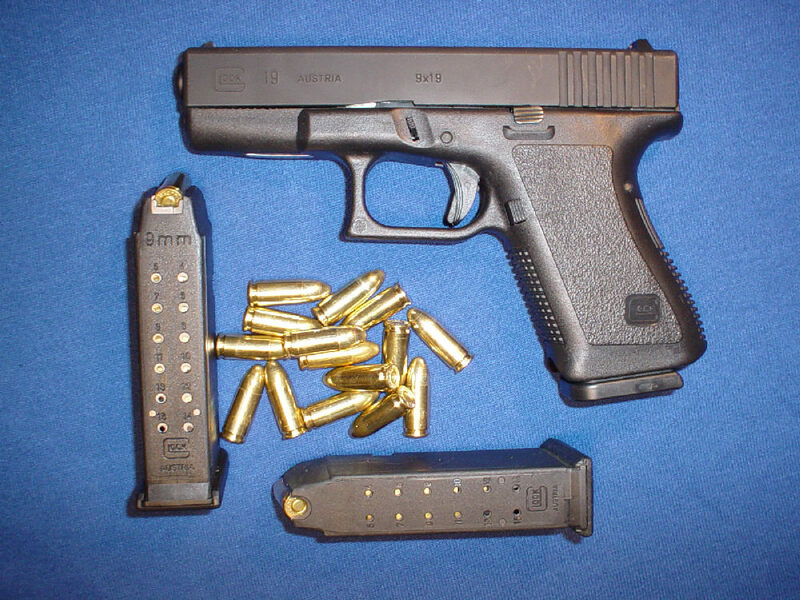 Sales of Glock 19 9 mm, the gun used in the Arizona shooting have soared, according to Bloomberg News. Other guns are selling remarkably well in recent days too. What, so if some wacko terrorist uses a dirty nuclear bomb, we’ll all go out and buy little nuclear bombs for ourselves? Apparently, gun enthusiast worry about more restrictions on gun sales in the wake of the tragedy, so now is the time to stock up. I’m not really sure what all these people are going to do with their new guns, but I don’t think I want to find out what some of them will do. The suspect in the Arizona shooting was described as extremely paranoid. I wonder if some of these new gun owners are paranoid, too, albeit not as bad as the suspect. Seems every time there’s talk of some restrictions on gun sales, the National Rifle Association-types warns that they will take all our guns away, the government will turn fascist and imprison us all, and the great ole’ US of A will turn into some interment camp run by extreme liberals. Or something. Look, I’m a guy. I like guns. They go boom and do fun, destructive things to targets. But my idea of a target is a tin can or a paper target at a shooting range. However, we know that some nutcases think humans are suitable targets. So, isn’t there some way, some how, to keep guns out of the hands of criminals and the insane, while letting law abiding people enjoy their firearms? I don’t think it’s all or nothing, people. This entry was posted on January 12, 2011 at 1:03 am and is filed under Uncategorized. You can follow any responses to this entry through the RSS 2.0 feed. You can leave a response, or trackback from your own site.